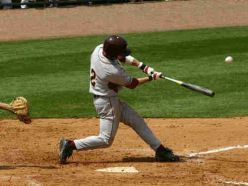 As the first day of baseball season approaches, so do many important life events – graduations, First Communions and the start of summer break. When we think of all these good things, your ABE friends think of your insurance coverage. Are your loved ones covered in case of an accident? 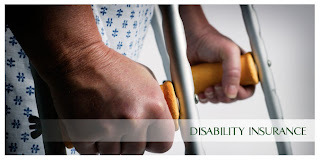 Do you have enough insurance in the event of a life change like an unforeseen disability? Be sure to enjoy life to its fullest – by helping to ensure you are adequately protecting yourself and your loved ones. Call me and we can discuss which ABE-sponsored insurance plans may be right for you. We may shower our loved ones with flowers, compliments and gifts. But have you considered the gift of providing your loved ones financial security if you were to become disabled and unable to bring home a paycheck? Without your paycheck, how would you pay your mortgage or rent, make your car payments, buy groceries, pay for your child’s education or even save for your retirement. Having adequate disability insurance can be the gift you can provide your loved ones to be sure they have financial security if your paycheck were to stop due to a disabling illness or injury. To learn more about ABE-sponsored disability insurance plans call me 800-621-8981 ext. 6420. March is Disability Awareness Month – How Much Disability Insurance Do You Need? Simply put, if you receive a paycheck, you most likely need some disability insurance. The possibility of a disabling illness or injury may seem remote, but statistics paint a different picture. Nearly one in three women can expect to suffer a disability that keeps them out of work for 90 days or longer at some point during their working years. For men, the odds are about one in four. And one worker in seven can expect to be disabled for five or more years before retirement. Do you have disability insurance? Want to know how much disability insurance is right for you? Check out the online disability insurance calculator at http://www.lifehappens.org/disability-insurance/disability-calculator. Then call me at 800-621-8981 ext. 6420 and let’s discuss the ABE-sponsored disability program and if it is right for you. (Source for all facts: lifehappens.org). 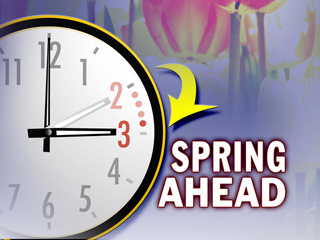 As many of you know, this Sunday, March 13, marks the beginning of Daylight Saving Time when many of us will set our clocks forward an hour. Almost all of us do so this time every year and set them back to Standard Time again in November, but why? The idea for Daylight Saving Time was suggested in 1784 by Benjamin Franklin as a way to prolong summer days and give us more exposure to the sun. The United States did not officially begin practicing this idea until 1918 and even then it was not mandatory for every state to participate or to have the same beginning and ending date. As a result, different states would begin observing Daylight Saving Time at different times throughout the year causing chaos especially for travelers who were never quite sure what time they would be departing or arriving places. 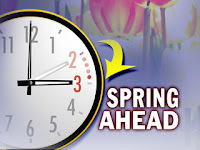 To remedy this problem in 1966, the Uniform Time Act was passed stating that for states that wanted to observe Daylight Saving Time, it would begin the last Sunday of April and end the last Sunday of October. Since then the start and end dates have been altered slightly, but it is still mandatory that every state observing Daylight Saving Time start and end on the same day. It is not, however, mandatory that each state participate in this time change. As a result, Hawaii and Arizona operate on Standard Time throughout the year. As the capital city of the United States, there are plenty of interesting facts about Washington DC. Many people know that the White House is the place where the President and his family live. What many may not know is that is not its original name. Originally it was called the “President’s Palace” or “President’s House”. It was not until a Baltimore reporter referred to it as the “White House” in an article that the name actually caught on. It became so common that in 1901 President Theodore Roosevelt made it the official name. Another fascinating fact about Washington DC is that there are no skyscrapers there. Many believe the reason for this is that law dictates that no building may be taller than the Capitol, however there is another reason. In 1894 a law was passed restricting the heights of buildings because, at the time, firefighting equipment could not reach great heights. In 1989 the Height of Buildings Act passed in order to ensure that the city’s skyline would never be dominated by skyscrapers. As a result of these laws, the Capitol remains the tallest building in DC except for one; an apartment building built before the ‘89’ law went in to effect. 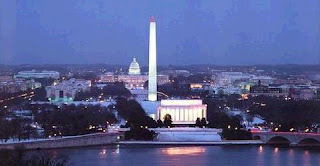 What are some interesting facts about the capital city of your state? Let us know!